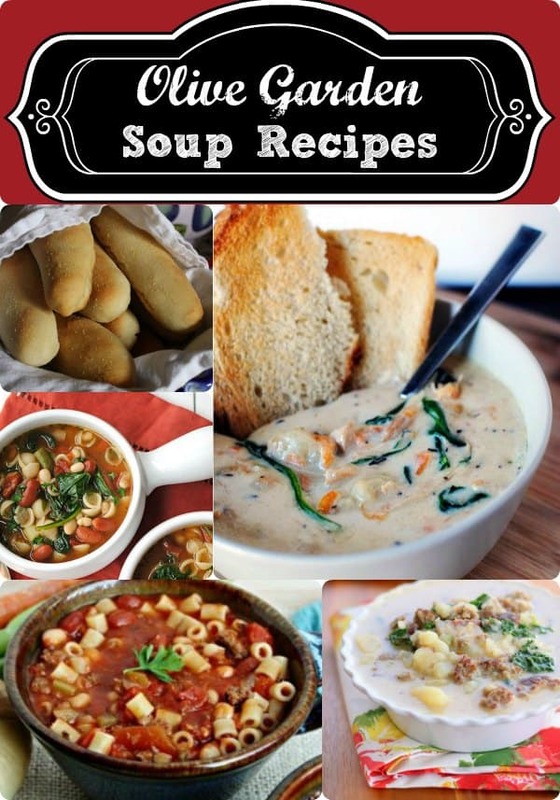 Olive Garden Soup Recipes - Copycat recipes even the bread sticks!! 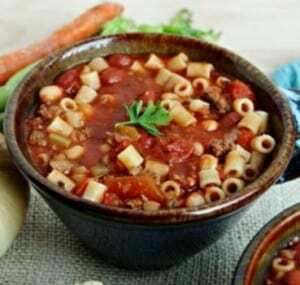 Soup season is in full swing and some of the most sought after recipes are Olive Garden Soup Recipes. We have been on the hunt for the best homemade, copycat recipes out there. So we hope you enjoy the fruits of our labor. 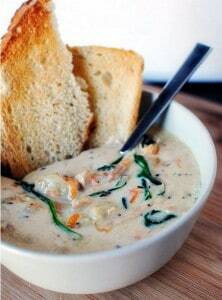 You’ll find hearty and creamy soups on our list that you can make at home! First on our list of favorites is the Pasta E Fagoili Soup. This is one of the more popular copycat recipes out there, so I did find a few different versions of it. Even thought this recipe calls for quite a few ingredients, it still takes very little effort. I have seen where some cook the meat and then basically throw everything, except for the pasta, into the crock pot and cook it that way. Don’t forget your liners for easy clean up! Next up is Olive Garden’s Chicken Gnocchi Soup. This soup looks so creamy and D-E-L-I-C-I-O-U-S!! Again, most of these ingredients, maybe not the gnocchi, you probably already have in your kitchen. This can also be done in a crock pot, just be sure to add the gnocchi and spinach towards the end. 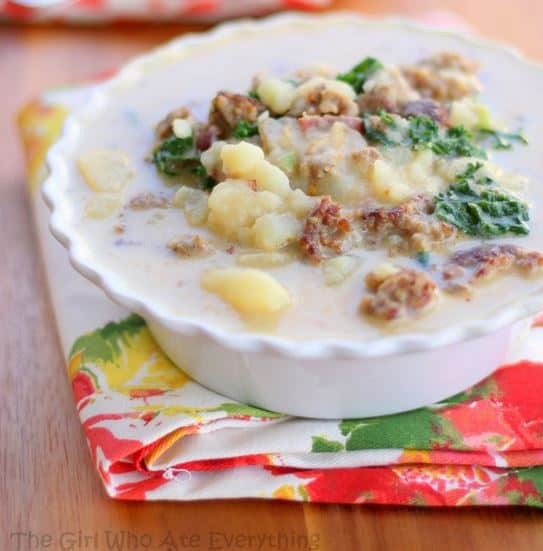 Here is an amazing knock off of the Zuppa Toscana Soup Recipe. It’s a hearty and filling soup with a spicy kick! You can also make this soup thick or thin depending on the amount of potatoes you add in. Or….remove the potatoes all together for a low-carb option. 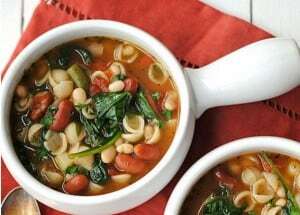 And last, but certainly not least is a copycat version of Olive Garden’s Minestrone Soup! Even thought this has pasta in it, it is one the healthier soups you can order there. There are lots of fresh vegetables and spices and it’s only 4 points per serving on Weight Watchers! Now I know that is only four soups, but I had to include this recipe for the bread sticks too!! 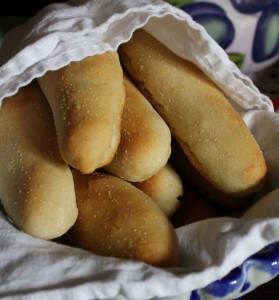 The bread sticks are by far one of my favorite parts of going to eat at Olive Garden. 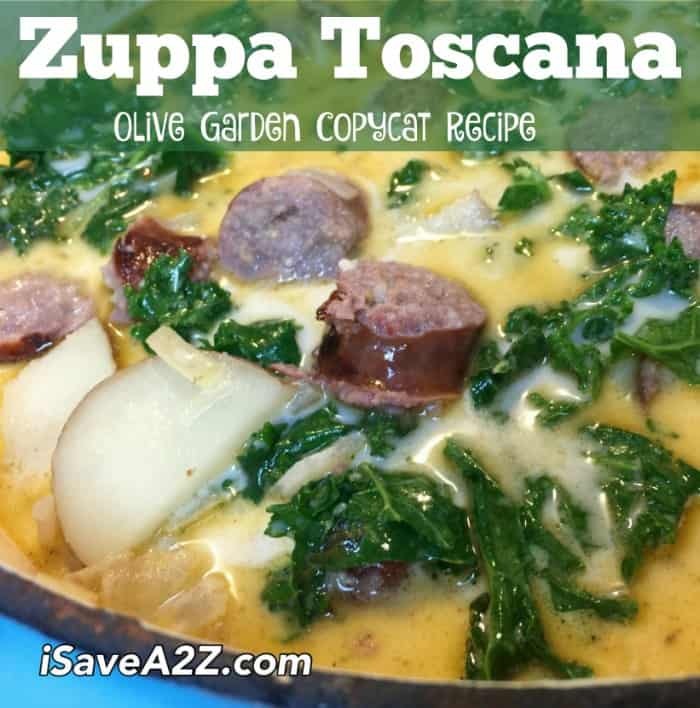 I hope you enjoy trying some of these delicious copycat Olive Garden Soup Recipes! Be sure to let us know which one is your favorite. By Jennifer on January 18, 2016 Breads, Crockpot, Main Dishes, Recipes, Soups. There is a link just below each picture that will take you to where we found these recipes.